LightWave Solar is encouraging all potential solar system owners to move ahead with project development before the Tennessee Valley Authority (TVA) changes their popular Generation Partners solar program. Under the current program, solar system owners receive 12 cents plus the base rate (totaling about 22 cents) per kilowatt-hour of solar electricity. 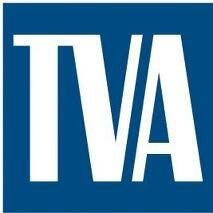 According to the TVA website, the new program will be called Green Power Providers. Changes could include lower incentives, resulting in lower returns on solar investments. Premium amounts will be reviewed and evaluated annually with plans to phase them out over time. In addition, participation will be subject to annual limits that reflect budgets, the value of renewable technologies to TVA and renewable market conditions. Because of the uncertainty, we are encouraging Tennessee businesses and homeowners to become TVA Generation Partner participants and lock in the 12 cents above base rate for 10 years. That way businesses and residents receive the best possible returns. A 50 kilowatt system, the maximum system size allowed under Generation Partners, can generate over $14,000 annually. Combined with the 30 percent federal tax credit, accelerated depreciation benefits, and a $1,000 cash bonus from TVA upon installation, the payback period on a solar investment can be as short as six years. After that, the system generates income for decades. Currently, there are over 900 Generation Partners participants. To begin the interconnection and Generation Partners application process, contact us. We have designed and installed over 200 solar projects across the state since the inception of the TVA Generation Partners program.